Ever feel like all those mortgage loan deals you see advertised seem too good to be true? It’s easy to be skeptical about them. After all, when it comes to advertising, most of us have experienced the “bait-and-switch” of getting you in the door with one deal, but finding out it doesn’t really apply to you in the end. 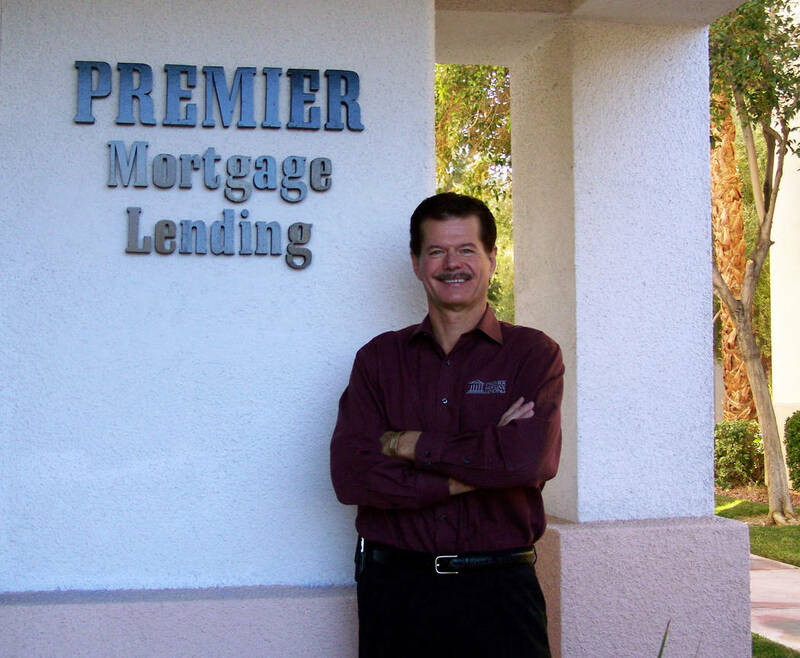 Rick Piette, owner of Las Vegas- based Premier Mortgage Lending. Ever feel like all those mortgage loan deals you see advertised seem too good to be true? It’s easy to be skeptical about them. After all, when it comes to advertising, most of us have experienced the “bait-and-switch” of getting you in the door with one deal but finding out it doesn’t really apply to you in the end. Mortgage loans can seem that way, too. But at Premier Mortgage Lending it’s different, and the perfect example of that is the true “No Fee” loan they offer. It’s one loan benefit that isn’t too good to be true. “At Premier Mortgage we keep it simple: Our ‘No Fee’ loan is exactly as it sounds, and our customers are often amazed at the savings,” said Rick Piette, owner of Las Vegas-based Premier Mortgage Lending. That happens because Premier is a mortgage broker, and the regulations on disclosure of what your loan is costing you are stricter. Simply put, Premier Mortgage chooses to earn less money on your loan by eliminating the fees. Banks and mortgage banks choose to make up that income with a little sleight of hand. Many consumers don’t understand these fees and simply accept them as the cost of obtaining the loan. That’s a shame because just a little due diligence in shopping their loan around might save them from having to pay the fees at all. In fact, it’s not uncommon for the loan officers at Premier Mortgage to suggest that borrowers compare their loan estimate rates with that of at least one other lender before choosing the one you want to work with. “Some of our customers are surprised to hear us say that, but the truth is we’re not hiding anything at Premier,” Piette said. “When borrowers compare costs and interest rates, they see for themselves that we’re being honest and open about our ‘No Fee’ loan, and they really will save money with us. That can be critical for some buyers, too. Because those additional costs (or a higher interest rate) can actually affect a borrower’s ability to receive loan approval by skewing their loan ratios. Saving money is great, of course. But when it comes to your mortgage loan, you need to know you’re working with an experienced loan officer who knows how to navigate the lending process and get you to your closing on time. If you aren’t, all the savings in the world won’t be of much use if your dream home purchase falls through because of your lender dropping the ball. Premier Mortgage Lending, NMLS No. 393282, is at 701 N. Green Valley Parkway , Suite 125 in Henderson. The full-service lender is a member of the Las Vegas, Henderson and Boulder City chambers of commerce, Better Business Bureau and Southern Nevada Home Builders Association, as well as an affiliate member of the Greater Las Vegas Association of Realtors.